How to Setup Animated Your Name as Your iPhone Wallpaper? 3D Touch iPhone allows iOS users to setup animated / live lock screen wallpapers very easily, this tutorial aims to show you how to import the animated "Your name" to the live photo and then set it as your iPhone’s wallpaper. Please download the JPG files and MOV files correspondingly from 3uTools Google driver. We shared cool internals wallpapers for iPhone X before, which makes it seem like you are staring right inside your iPhone X. Today, we are going to share the live wallpapers for you to show off the live wallpaper inside more vividly. Note: live photos are compatible with iPhone 6s and later. Step 1 Download the live wallpapers from here, you may need to download the jpg. image and the mov. video. Step 2 Launch 3uTools, navigate to Photos and click Import Live Photos. Step 3 Click "+" to import files you just downloaded, and then click "Import". “iDevice is Connected, But Can’t be Recognized” While Using 3uTools? How to Solve the Frequent Operational Failure of 3uTools on Computer? 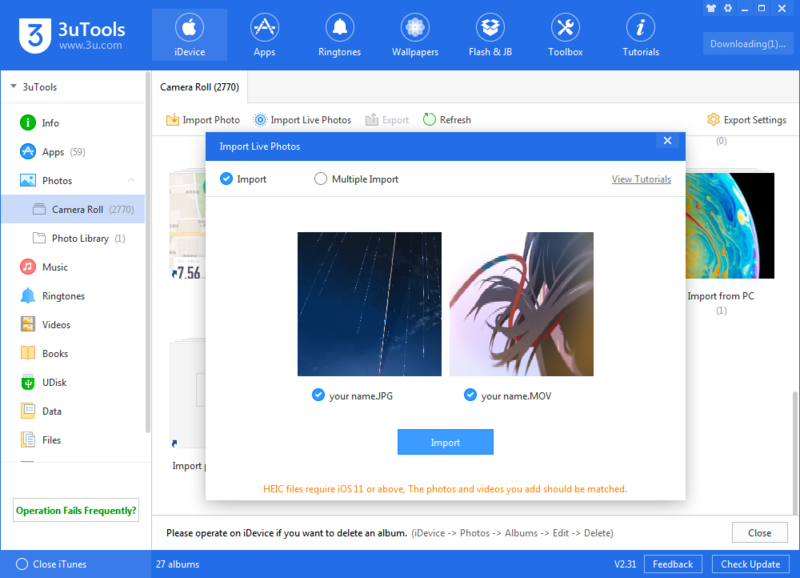 How to Fix Cannot Import Photos to the Camera Roll? 3uTools Frequently Prompts “Connection Timeout”? What's Firmware Cache? 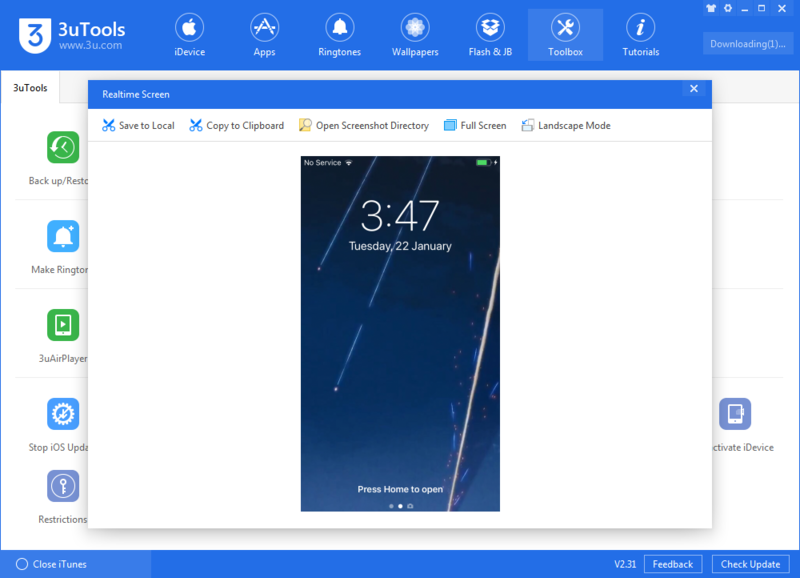 How to Download and Set Ringtone Using 3uTools? How to Use Back up and Restore in 3uTools? Failed to Export Photos Using 3uTools?